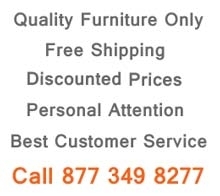 Sofa: L80" x D35" x H35"
Loveseat: L64" x D35" x H35"
Chair: L47" x D35" x H35"
405 modern living room includes comfortable sofa, loveseat and chair wrapped in red leather. Accented by white line that runs across each piece and matches perfectly with the white inserts on the sides. 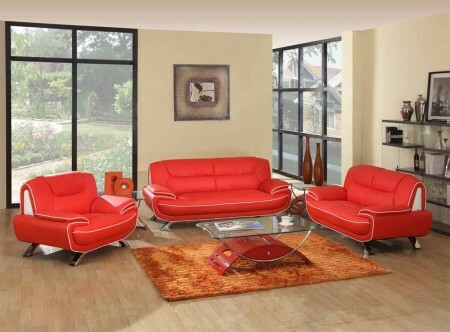 Red leather living room set stands on chrome finish steel legs padded to protect your floors.